Once in a while, our patients find themselves in an emergency situation related to their braces or orthodontic treatment. Find out how to recognize an emergency, and what to do about it! Orthodontics patients can experience different degrees of discomfort during their treatment. 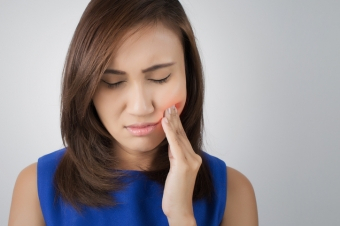 This can include the typical mild achy-ness you'll feel after an adjustment appointment, minor lip and gum irritation as the inside of your mouth gets used to the presence of your braces, and occasional day-to-day aches and pains as your teeth move. Most of the time, you should be able to take care of this sort of day-to-day discomfort yourself, and it is not considered an emergency. You can apply ice, or take an over-the-counter anti-inflammatory pain killer (such as ibuprofen) to reduce minor swelling and discomfort. Using a salt water rinse may also help. To make one, dissolve a ¼ teaspoon of salt in 8 ounces of water. Gently swish a portion of it in your mouth for about 30 seconds to a minute, and then spit it out. Repeat this process until all the salt water is gone. If your lips, cheeks or gums are irritated, you can try orthodontic wax. Orthodontic wax creates a smooth barrier between your braces and the irritated area. Put a small piece of wax on the offending bracket or wire, and massage it into place. You can get this wax from your orthodontist or from your local pharmacy. Remember that these minor discomforts are a normal part of orthodontic treatment, but are largely transitory. Using the methods listed here, you should be able to manage just fine at home. Now, let’s look at what is an orthodontic emergency. Any type of severe pain, or damage to your appliance that you can’t take care of yourself, is an orthodontic emergency. Contact our office as soon as possible if you experience any of the above, and we’ll fit you in for a same-day appointment. In the meantime, ice the affected area and staunch any bleeding. If you are bleeding excessively, go to the emergency room at the hospital. If you have more questions about orthodontic emergencies and what to do, please feel free to contact Ridge Meadows Orthodontics today. At Ridge Meadows Orthodontics, we make sure to give our patients all the information they need on the outset of their orthodontic treatment. Informed and prepared patients are better able to help make their treatment go according to plan!